Food Grade Rubber - Products - Aquaseal Rubber Ltd. When it comes to manufacturing, preparing and storing food, special consideration for the products that are used in this process. Only FDA approved food grade rubber is suitable for the job. Food grade rubber is a specially certified grade of rubber approved for use in food manufacturing and packaging. Aquaseal Rubber uses silicone, natural rubber, nitrile, neoprene and polyurethane rubber for food grade rubber products. 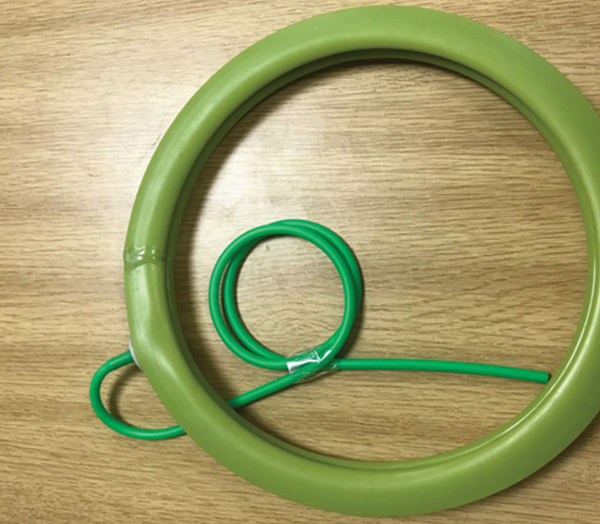 In addition to food, food grade rubber can be used for liquids and pharmaceutical manufacturing. 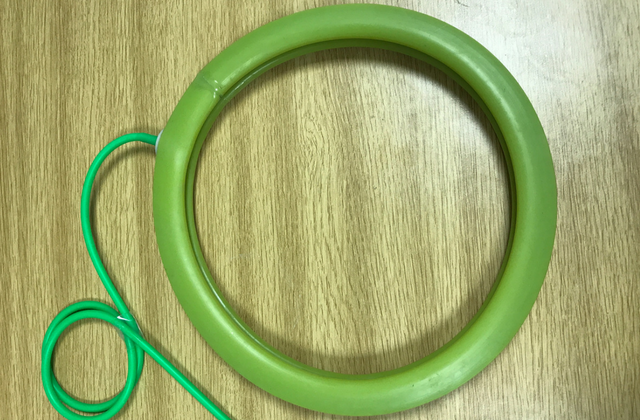 Food grade rubber that has been certified by the FDA (Food & Drug Administration – Depart of Health and Human Services) and comes under part 177 – indirect food additives section 177.2600 – rubber articles for repeated use. This means that the rubber products and parts meet the limited levels under this ruling. Our food grade rubber is an exceptional product due to its many food safe properties. Being non-toxic and with high temperature range, it is ideal for use in the preparation and storage of food. In addition to being non-allergenic, it is resistant to mould and water, which means organic material will not form on the rubber. Food grade rubber is also odourless and tasteless meaning it will not affect the quality and properties of the food it is used with. It is a tough and reliable material with a long life span. Our products go through rigorous testing to make sure that they will withstand the extremes in temperature and wear. We can guarantee that all of our products comply with the FDA regulations and only contain approved substances. 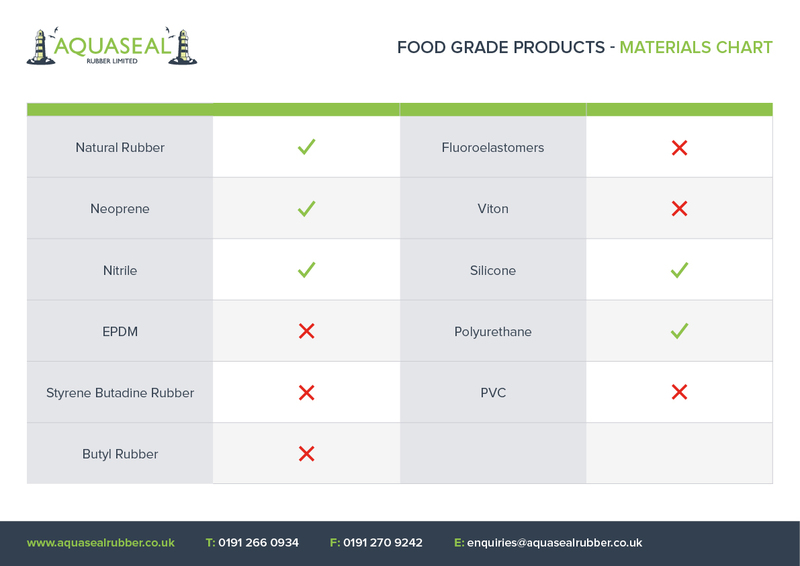 Aquaseal Rubber can manufacture all of their products in food grade rubber, including seals, gaskets, sheets, and extruded and moulded parts. EPDM: EPDM rubber is used in situations where rubber needs to resist degradation from the environment and from ozone exposure. Food grade rubber is the safe and hygienic solution to your food manufacturing needs.